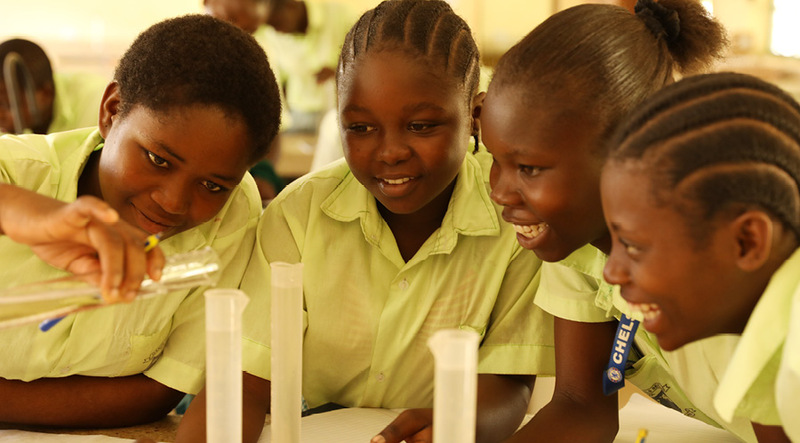 Over the past two decades, there has been a global push to engage women and girls in STEM. STEM – or science, technology, engineering and math – has long seen girls outperformed by boys in school and underrepresented in the workplace. Educating youth in STEM subjects leads to better problem-solving and critical thinking skills, preparing them for the rapidly advancing future. STEM jobs are higher-paying across the board, and it is estimated that 80% of future jobs will require STEM skills. In the modern era, the economy is increasingly dependent on new technological advancements, and the need for STEM-literacy is growing along with it. Africa’s rapid growth calls for new infrastructure and research in every sector to keep up with these changes; but with no clear strategy on STEM policies, most of the STEM jobs are outsourced. 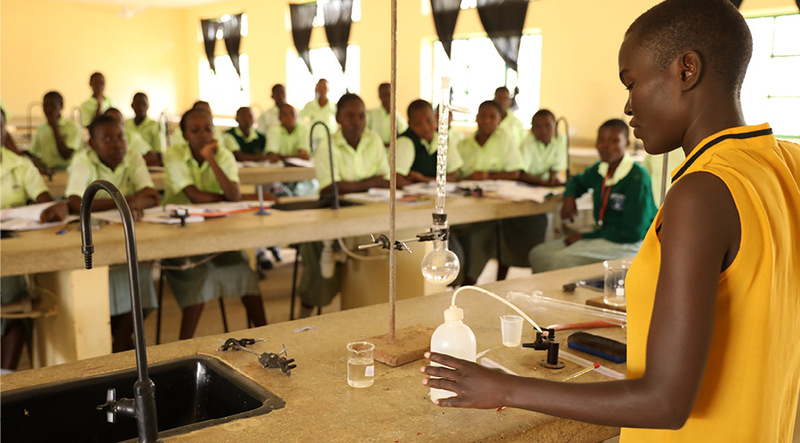 Investing in STEM education for Africa’s youth would contribute to the economy, lower youth unemployment and offer more meaningful and better paying work. Empowering Africa’s youth in STEM will help lead Africa forward, grow the economy and improve the lives of its citizens. Girls represent more than half the population in Africa, and yet they consistently perform lower than boys in science and math. Why is this? For the same reasons as in the western world, amplified. Girls are not empowered in these subjects, and when their STEM education is not nurtured early on, this leads to lack of interest and loss of ability. Gender inequality and institutionalized sexism in schools tells girls that they are not meant to pursue these subjects, leaving them with no female role models. 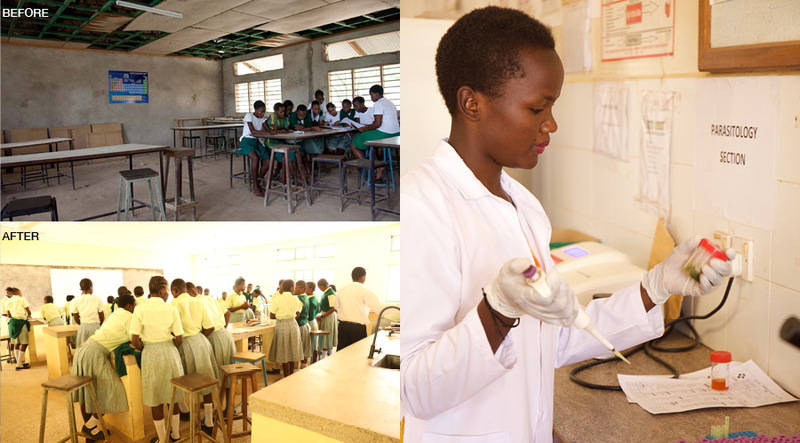 The Global Partnership for Education reports that in 2014 only 17 of the top 100 students in Kenya were girls, mostly from high-cost secondary schools. In low-cost schools, the number drops even more. There is a dire need for quality education that is sensitive to the needs of girls and nurtures their abilities early. One Girl Can is working to change this. The science facilities in many of our partner schools were shocking. We invest in brand new science labs to provide girls with everything they need to pursue their interest and education in STEM subjects. One Girl Can has also created a network of female role models to mentor and coach girls, giving them the skills that they need to succeed and believe in their ability. We actively encourage our students to pursue STEM related degrees, and 80% of our university scholarship recipients study STEM related fields. Agnes Mutua is one of these girls. Her family could not always afford her school fees, and sometimes she would be sent home. Instead of giving up, she kept up with her studies and dedicated herself to being a good student. Agnes was the recipient of a One Girl Can university scholarship, and she is now studying electrical and electronic engineering. 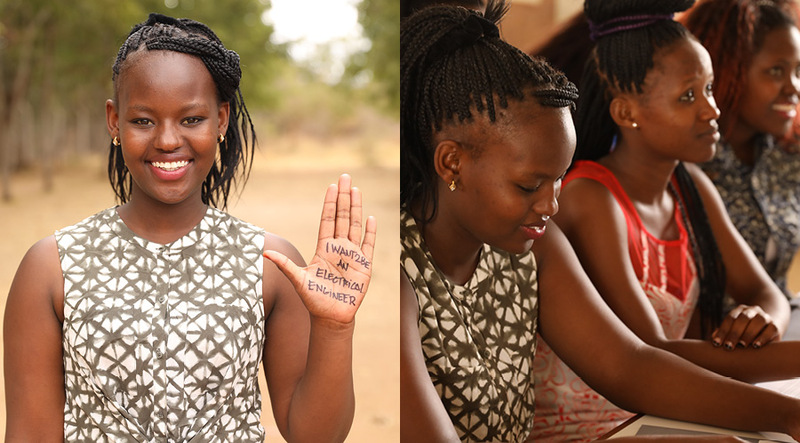 “I want to change the attitude that girls can’t make it, and that engineering can only be done by men,” Agnes says, “I want to show people that it is right to give education to both genders.” When Agnes becomes a successful engineer, she will be a role model for other African girls by fighting gender stereotypes. She’ll prove to society that girls can succeed in STEM and achieve anything they set their minds to. When girls are empowered in STEM, they can change the world. Help a girl pursue her dreams of studying STEM at university! Click here or contact us for girls needing sponsorship. Any donation helps!